What does the new Schedule 1 look like? 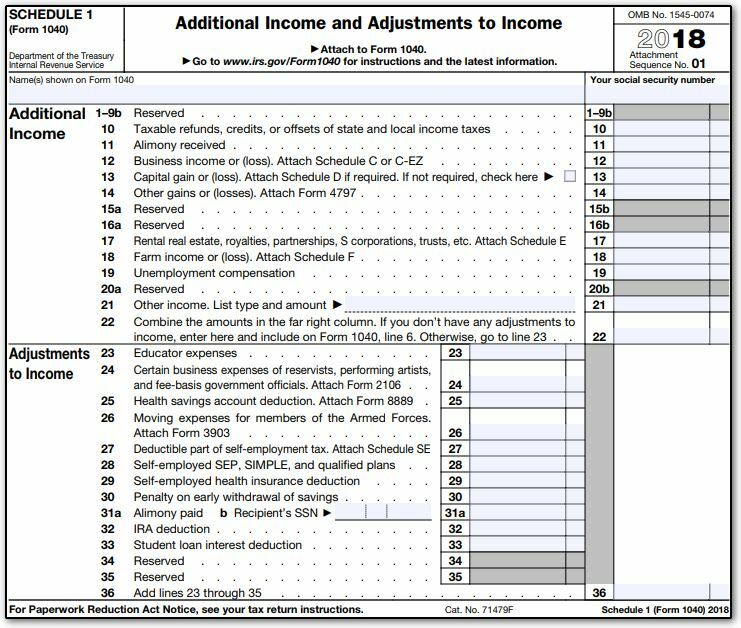 Beginning in tax year 2018 with the Tax Cuts and Jobs Act the 1040 was changed, and many supplementary schedules were added. The Schedule 1 is divided into two separate sections. The first section is for Additional Income such as Alimony received, Capital Gains, Rental real estate, and gains or losses from the 4797. The second section is for Adjustments to Income such as Alimony paid, HSA deductions, SEP plans, and Student loan interest deductions.